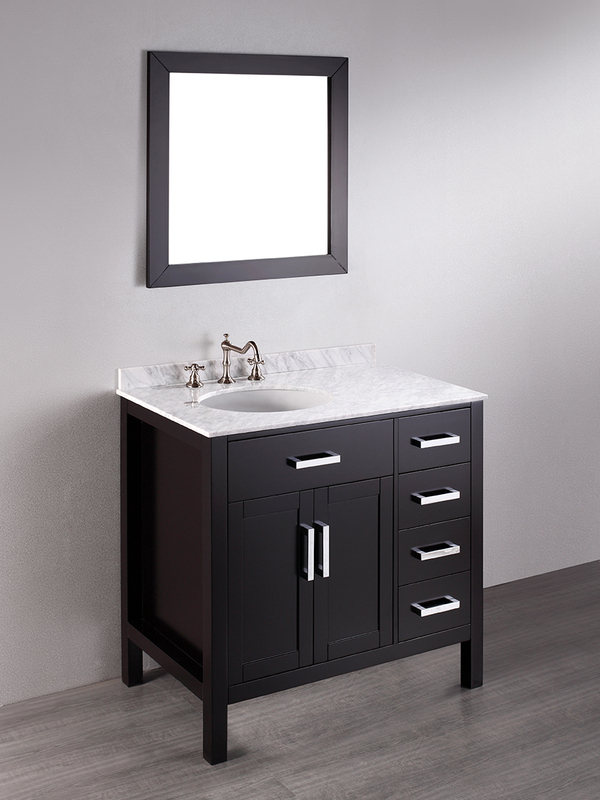 If you're hoping to transform your bathroom's style, then give it a contemporary work of art like the 36" Magdalena Single Bath Vanity. 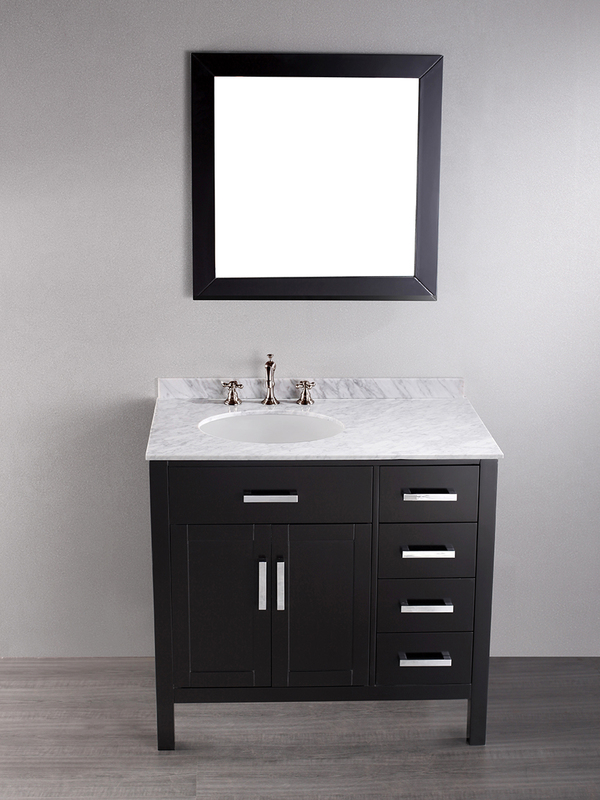 Featuring a Black finished cabinet with a double-door cabinet and four spacious side drawers, this vanity boasts not only a petite size, but optimal storage space so that your bathroom doesn't feel or look cluttered. Silver accents give the cabinet a striking appeal htat's mirrored by its White Carrera Marble top. 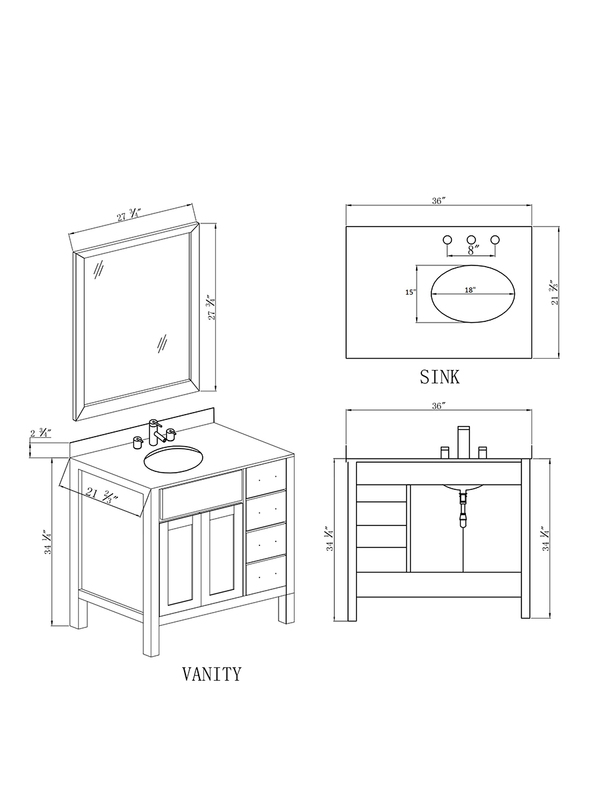 This vanity also includes a matching mirror to finish its look.